For many plate reader assays performed in (hospital)laboratories it is essential to monitor and control the temperature of liquid samples accurately. In plate readers the results of assays can be affected by temperature fluctuations of the samples, risking faulty diagnosis for patients. Governments are installing strict regulations for laboratories to control the temperature in their laboratory instruments. Contact thermometers are ruled out as they contaminate the samples and influence the temperature of the samples. Exergen noncontact infra-red temperature sensors are the only available option to measure sample temperature accurately. lRt/c sensors are used to monitor the changes in, and quickly detect, fluctuations in sample temperature, allowing accurate control of the actual sample temperature. 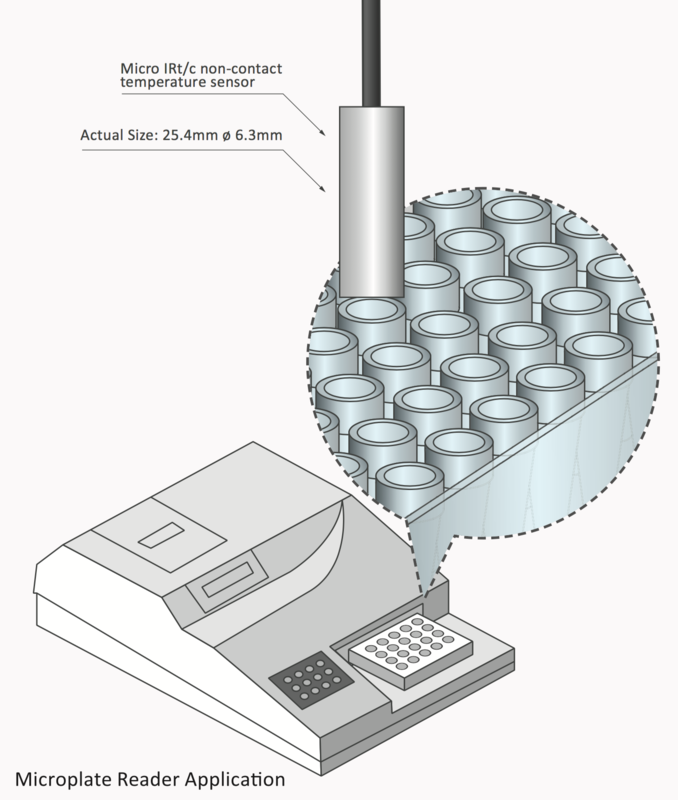 In a plate reader the micro IRt/c is placed above a single well allowing individual sample monitoring up to 0.1°C accuracy, or to measure if a temperature gradient over the microtiter plate exists.